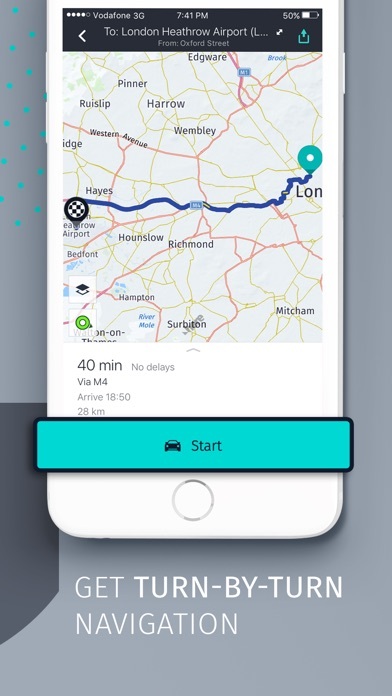 here wego is a free app that makes city navigation effortless whether you need a taxi, public transportation or drive on your own. Book a taxi in a single tap or navigate with detailed routes, turn-by-turn guidance and information about every way to get around. MORE OPTIONS, LESS HASSLE If you're in a hurry, take a taxi or book a future ride. * Take your car, your bike or public transit to get to your destination. 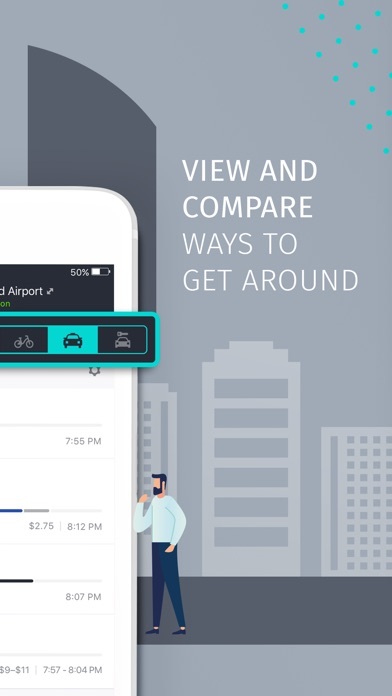 here wego has recommendations for all the ways to get around. Just compare and choose what's best for you. SMARTER PLANNING BEFORE YOU GO here wego tells you everything about your journey before you head out. You can see the cost for public transit tickets and cab fares, find places to park and know about traffic delays for any drive. BETTER GUIDANCE ALL ALONG THE WAY On the move, here wego gets you to your destination with ease. Turn-by-turn voice guidance for drivers helps you stay stress-free behind the wheel. If you're walking or taking public transit, here wego guides you along every step and every transfer, just when you need it. EVERYTHING YOU NEED TO KEEP MOVING here wego shows you alternatives when delays are slowing others down. Live traffic and public transit information keep you in the know, so you have the flexibility to keep going no matter what happens. You can even download maps to your device, so here wego keeps working even where there's no network signal. here wego offers public transit information for 1300+ cities including New York City/NYC, San Francisco/SF, London, Berlin, Munich, Paris, Barcelona, Madrid, Rome, Milan, Vancouver, Toronto, Sydney, Melbourne and many more. Get where you need to go on subway/metro/subway, bus, bike, train, trolley or ferry. 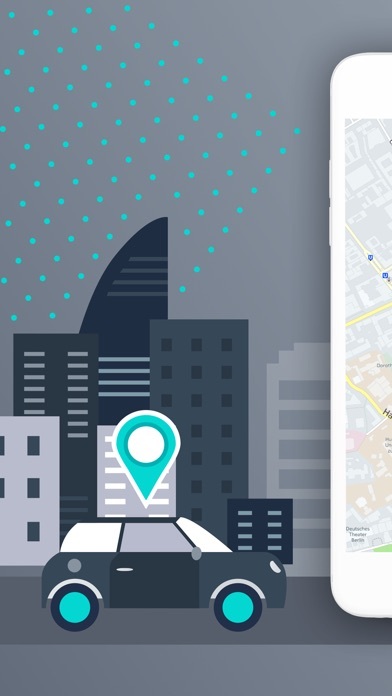 INTERNATIONAL COVERAGE here wego has offline maps of the United States, the United Kingdom, Germany, France, Spain, Italy, Canada, Australia and more than 100 other countries. Download the map you want and you're all set. So where will you go? It's all up to you. Because whatever your destination and however you're travelling, here is how you get there. (Just so you know, running GPS in the background for long periods can really decrease battery life. You can reduce your battery usage by saving maps to your phone ahead of time.) *Note: Booking a taxi ride with here wego is available in select cities. Check to see if its available in your location. 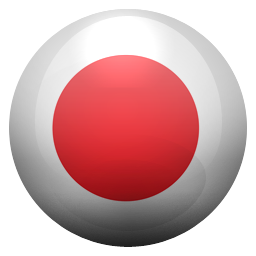 I enjoy using this app since I started using over six years ago I First started using it on Nokia Phone then Windows 8 phones. It’s probably the best navigating app. In today’s world, Apple’s Car Play and Goggle’s Android Auto are dominating car built-in navigating devices. This two companies are allowing third party navigation. Please make “Here We Go” to be compatible with both. I downloaded this because I was tired of giving my data for free to a company that sells it, namely Google. I really wanted a thin map app, a lean navigation client, something to get me from point a to point B and nothing else. I was thrilled when I found this app, thinking that it was just what I was looking for, but unfortunately it’s not stable. The first rule one when creating an app is that it doesn’t crash. If I have to close the app, restart it and re-input my destination while I’m driving, the app failed. Back to google. It’s nice to have a free GPS app, but only if it works correctly. This one doesn’t. Twice recently it directed me off the highway and then right away back on. And the second time it was a toll road! And then it proceeded to take me on a very indirect route that included a rough dirt road. Thanks, but until it’s improved greatly I’ll use a paper map. Like the app a lot. 🙏 provide support for Car Play. The only accurate offline navigation app that I tried. The new male only voice navigation option is low and muffled. Thus, the directions especially the street names are difficult to pick up. I would give it a five star if the female voice option can be added back. It was doing fine with previous versions. I am using this app since 2012 almost 8 years. Never have any problem with it. Best part of this you can download offline app in your phone and you can use it. If you phone service or not. Here maps guys are very efficient and working hard people to make working perfect. I am using maps when I go to india download and use offline there not a single problem in india. Very perfect. I appreciate them. The map system is great but until they enable it in Car Play this mapping application will never be great. No working on iPad Air. When are you going to update the app so it works with chevy mylink? Apple now allows other maps to show on mylink . Google maps and waze maps updated theirs when are you going to update yours? I was just recently in Florida using this app offline. Everywhere I went using this app it kept directing me to Florida turnpike! I had a rental car and ended up being charged a lot of money! I couldn’t find anywhere in the settings “avoid tolls “ feature! It would be great to have it! Otherwise it’s a great app! So outdated in SF Bay Area! Many places changed they haven’t updated! Use google map! This one is misleading! Great free detailed offline maps, feature rich also! HERE has been my preferred location/routing app for years. My favorite features are the collections and offline mode. As much as I like the app, however, I find myself having to use Apple Maps more often because I can't directly go from another app containing the address to HERE; also, it's lacking Apple CarPlay support. The lack of those two features prevents me from rating the app higher than 4 stars. Many nice features to this app. The app occasionally gets lost providing non-sensical directions in the Columbia, Md area. Offline gps feature works well. Need a version to work with CarPlay to be truly useful. Use the application couple of time and now bought car with Apple CarPlay and application not working with that. Not Supporting Apple CarPlay, no go. The app needs to support Apple CarPlay. Be able to quickly download an entire state or country ( or continent if you really want to) before traveling is so much more convenient than Google Maps unintuitive “offline area” system. It also seems to save far more businesses/business information offline than Google Maps does. The only thing missing is CarPlay support. I’m usually navigating a new city in a new (rental) car when I am traveling, and being able to have directions front and center would be great. Please bring CarPlay support to make this world’s best navigation app. The reason I use here map because I use to have a Window’s phone. Love it on IPhone but why did they get rid of the USA female voice. Now I have it set to UK male voice and I hate it. I prefer it over other navigation maps when it comes to traveling abroad. Thanks to the developers. This map saved us big time . We just had a trip to AU and NZ and used it every single minute and gave us perfect directions. So thankful to the creator of this app. I recently traveled to Portugal for vacation and planned to drive between Lisbon and Porto. I downloaded the Here app before leaving because I would only have access to Wi-Fi and the app promised to work off-line. I rented a car in Lisbon equipped with GPS to be sure I wouldn’t get lost since I don’t speak Portuguese. Well, I turned on the car’s GPS (a Renault Cleo) but couldn’t figure out how to get audio commands. The visuals on the monitor were not helping. I resorted to the Here app and from the instant I turned it on I got my exact GPS location and turn-by-turn instructions in English. Streets and neighborhoods are pretty compact in Portugal and the app never failed. It was an excellent welcome to what would otherwise be a very long and frustrating trip. Two days later I drove to the airport in Porto again with assistance from the Here app. Use it with confidence. I am very satisfied with HERE, but in my personal opinion Apple CarPlay support will make this app perfect. I use only off-line navigation and have enjoyed this application for several years when it was installed in nokia phones (different nane then). Now installed in my iOS 10.3.3 (iphone5) but has problems. An update around the end of 2017 it crashes. It will not run, it will not start. Deleted and re-installed several times with no luck. "The bug fixes and stability improvements of 2018 Jan. 24" did nothing, had no effect. Still stuck, will not run or start. I no longer use it. On 2018 March 5 I noticed some improvement. Application opens (runs) after 3-4 attempts. 2018 May 5: Application notifies to update maps. I tried to update several times but it crashes. I deleted and re-installed maps but had the same problem. The problem was solved only after I deleted and re-installed the app. Unfortunately this took very long time to download my maps (USA and some EU countries). This is an excellent off-line navigation with headaches. 7/20/2928 update. Much better performance. Changed from ** to ****! Good performance navigating in TX and GR. 2018 November. Works fine except for a bug. It freezes 5-10 minutes into the trip. The fix is pull on side of the road, re-enter destination and continue with trip with no more freezing! Using it on a daily basis and can say it's very accurate. I'd also suggest to make it say at least 500 feet (or make an option for user to set the distance) before reaching the final destination on which side of the road your trip ends (as someone else already suggested). Keep up the good work :) [Edit]: After the voice navigation updates, I feel like you downgraded the app! I don’t enjoy the 90’s robotic like sounds!!! Two stars off, just because of that! What happened to the female voice option in English? 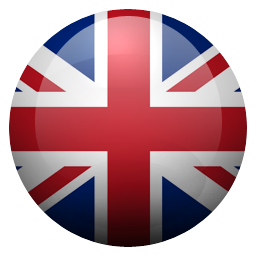 Both U.S. & U.K. voice options are male only. 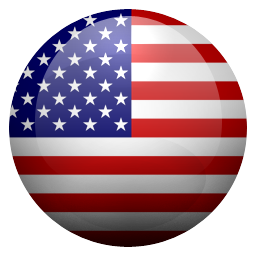 This app can’t be beat your able to download the entire United States map to your cell phone device and then use the maps offline without Wi-Fi or cellular service. I know what your thinking when would I ever need a dumb feature like that. Try leaving from a heavily populated college football game and your network is bogged down and google, apple, or waze maps won’t load. That’s when this app and that feature shines the brightest!!! Just one example I’m sure their are others. Where Apple Maps comes up short in driving directions, HERE Maps goes the distance and take you where you need to go every time. I can get to my sisters place in Michigan using HERE Maps, I can’t get there using Apple Maps. Same goes for my other sisters place, in the middle of no where, in Wisconsin HERE maps takes you right to her driveway, Apple Maps get me lost. If you’ve not tried HERE Maps, try it, it won’t steer you wrong! No RER lines in Paris. Useless. I love this navigation app and will love it even more once it shows up on my CarPlay screen in my car! This is my go to map, I never use Google maps. But the latest update had screwed this up. They have removed all the female voices and the male voices sound very low and unclear. The female voice for US maps was so loud and clear that it airways grabbed me attention whenever I approach an exit or anything like that. I don't know why they have to screw a good one while it is working so well. Are they trying to kill this one like they did TomTom? This app is called Here we go. It should be called “ No you won’t!” Someone on the train suggested we use this app while in Prague. 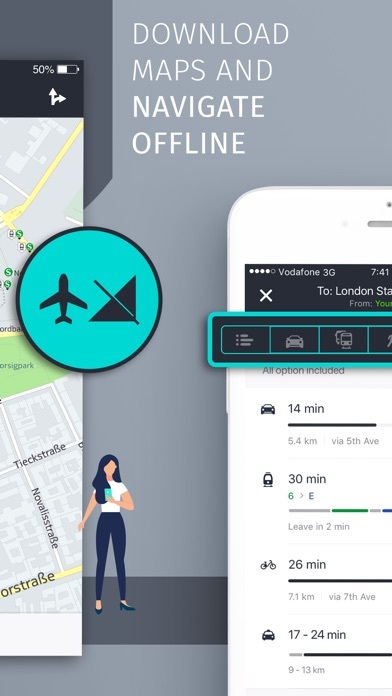 The app will tell you routes to travel offline but it’s the long way around. 3 times we mapped out a route the locals people would tell us the train to quickly take us to our destination. Each time the app did not even list that convenient way to go. If you want to waste time traveling ..... then download this app! BETTER THAN WAZE AND APPLE MAPS Think about it. When do we use GPS? When we are lost! When you’re lost once something that can tend to happen that’s annoying? Not having cell service! This app lets you (FOR FREE) download and save the maps for different areas so even if you have NO service at all, as long as your phones charged you can use the map with no problems! Trust me, if you’re going somewhere new or looking for a GPS for a road trip this is hands down your safest and most reliable bet. Also has traffic included! I love the offline maps they have saved me many times, I’d love to see this app become available in CarPlay! Will make a great app perfect! Already has great features like the ability to save favorites by category, live traffic data, speed data, etc. it would also be helpful to allow to send locations to car Nav systems from within the app. I appreciate the offline map capability of this app better than google maps. Downloaded maps do not expire and you can still update them. I usually download the whole state(s) maps before traveling. I have unlimited data plan but this feature is still very useful because LTE coverage still can get patchy in some areas. Indeed it saved my neck when I had no signal in remote areas of Arizona more than once. I also find it very useful when I go to other countries where I have to watch for data usage. I also like: customizable speed warning feature. Quick one-step view switching between overview and detail (for driving). I am looking forward to using it with Apple CarPlay now that Apple opened it up to third party apps. Please please make it available. Love the app, but it occasionally freezes while in use (on an iPhone 6s). To get it going again, I have to reboot the app after going out of it for a few minutes. Very problematic, especially when navigating in a city etc.! Apple, Waze, and google have too much to offer online in US to try here. I don’t usually write reviews but I love this app. It helped me so much when I didn’t have data. The offline mode is awesome and I was able to download maps to use offline. There have been no ads so far after 1 year of use. The voice commands are incredible it warns you on what lanes to be on after certain distances. Great app! It's very easy to use, though I propose to everyone to use this app. It doesn’t recalculate when changing course during a route. It used to do that. Many other app or devices such as Garmin does it well. I so very much wanted this to be my replacement of Google Maps. That will happen once the turn by turn view allows for more than a mile view ahead on the freeway. At those speeds it’s not enough to see ahead and prepare for any backed up traffic. I can’t seem to be able to manually zoom out the view either. Fix this and I’ll be a dedicated user. This has replaced google map as my default navigation app. It offers more intuitive navigation interface and offline maps with reasonable download size. This app has successfully guided me through London, Rome, Naples, Paestum, and Paris. It has always done a pretty good job in the Chicago area as well. All without paying a dime. Of you have a specific restaurant you want to go to save it in a collection while you have WiFi. It will have all the highlights and a decent selection of restaurants in just the standard download though. Work on the core services is fine. But voices are now robotic and a pain to listen to. On iOS 11.4.1. It’s a robotic female voice. On iOS 12.0 beta 1-6, it’s a robotic male voice. Can’t change since the options are English with spoken street names or none. I liked this when it was Nokia and Microsoft. But after the conglomerate buyout. It’s garbage good sir/madam. Not there yet, but getting better. Needs some work on the navigation. I would go off route and it would take me on a long detour, when in reality there is a shorter option. I will still use it though. Have high hopes for this app. Yes. I’m one of those people that does not write reviews because I have “better things to do with my life”, BUT. I don’t know about anyone else—!!!! This app is deserving of five+ stars. I recently just finished a trip that was well over 1,000 miles long up and down the east coast (MA-VA-NC-SC-VA-MA), and this application helped me along the way perfectly. It knew exactly where to take me without needing to use WiFi OR CELLULAR DATA. It exceeded my expectations and then some. Hands down, best navigation app out there without having to pay a penny or use up your data. Where is this thing taking me? Asked to go from Mentor, Ohio to Columbus. Should just go I 271 to I 71. Couldn’t believe the way it tried to take me. This may be program that Amazon Echo is using because it takes the same way. It takes a 2 hour and 42 minute trip and makes it 3 hours and 12 min. why this app give me U-Turn at the section do not U-Turn ? please tell me why ? thank you ! Must have when going to places with no or bad network. It is also ad free. The application crashes the moment you click on it on IOS 11.4,iPhone 7. Reinstalles, phone restarted...nothing helps. Kicks the $H¡+ out of Google Maps! Was amazing on Nokia phones and no one would believe it bests Google Maps now it's available on the AppStore, perfect! 1.Still do not have Chinese map, and Chinese online map is toooo simple. 2. Download offline map is too slowly, and delete offload ne map also very slowly. For online maps, I guess nothing could beat google. Usually before a trip, I would search Google for addresses, then save them in Here for navigation. This app save me a lot of effort during my travels to Europe. I simply feel that the interface is so much better than the others and I was able to follow it even better than other Maps app out there. Also the ability to download offline maps is the crowning glory in my opinion. Keep up the great work and also for not flooding the app with multiple apps. Okay I just deleted google maps as I couldn’t stand their updated lay out. Their turns were delayed and I always got lost . Seems they focused more on adding new features then updating the actual location and giving voice turn by turn accurately. I can say between them both, this app is by far the most accurate voice turn by turn directions. New to this app, and after my first trip, i can say I made it to my destination with only missing 1 single turn, which was my fault. What I like about this, is that it prompts you to make a turn at half a mile, then 800ft then 200ft, which is so useful! I love it! Only thing I gave it a 4 stars is everything but how about a search function while in the route of a destination. Such as, searching for gas or food while your already in a route? That would be useful or setting multiple routes to take. Thanks The “driving over the speed limit” warning and sound is extremely useful and accurate! Please update the map to include you have arrive at your destination on the right or left that would be very helpful. Love the app. Offline maps broken; worthless. Hope you like getting lost! This app’s whole purpose to me was offline navigation, yet it consistently fails, leaving us lost with no cell service. Whenever you try to turn on offline mode it just gives you a pop up saying “all you need is maps” linking to the downloads screen, but I’VE ALREADY DOWNLOADED THE LOCAL MAP! This app doesn’t let you turn on offline mode even when you download the map for your state! Also when you download another region’s map, the previous one you had disappears from the list! Not that that matters, given that offline maps don’t work anyway! I agree in full with the above review - item for item. As an Apple user for nearly all of my hardware and portable devices (inc iPhone X - YES full screen), I’m rooting for the company to improve in the mapping/GPS domain. I like using the app via Siri, but Google Maps, Waze, etc. have a more compelling interface at the moment. But now it is slow and the screen freezes just when you need the app most. I found myself going back to using Apple and Google, despite their flaws. I love this app. I couldn’t travel without it. Thanks to the developer. Why no citibike info for NYC? Other apps like this give citibike stations (location, amount of available bikes/slots). This functionality is a MUST for a city with a bike sharing program. Needs updating. Otherwise great app. I’d like it better than Citymapper if it had bike station info. I’d like to see full screen use on the iPhone X like Google Maps or even something similar to Apple Maps. It’s trivial I’m sure, but it’s attention to detail. It does appear night mode uses true black which will conserve battery. Being able to download maps is great, it saved us on our last trip to Europe and made getting around a breeze. I also haven’t noticed any ads lately, which was fairly annoying not to be able to opt out of. It would be nice to have an auto switch feature for the units, it’s already using our location, can’t be that hard to know what areas use which units on their roads, there are only three. The voices are a bit digital and processed sounding, not major, but smoother voices would be nice. The directions can be confusing, especially the lane indicators and arrows. If you’re a Windows 10 user you’ll notice the native MS Maps app is in fact Here We Go. This made planning trips in Europe easier since we could see things on my Surface Pro 4 in larger detail then use the iPhone on the streets for navigation. Reality is I’d only use Google Maps if they offered offline maps. However, they don’t, so this is where Here We Go really shines. If Here We Go could get their interface, search and options on par with Google Maps, I may just remove Google Maps. At the moment there’s a long ways to go still. If this app simply had an easy non convoluted way of searching along route then this would be the best. By non convoluted i mean. While heading towards a destination there be a simple button to add a stop. You search the name of what you want and the map will simply zoom out, show you distance from the places, let you touch the place you want and it adds it as a stop along the current route. No trying to build a collection before you leave and trying to use a calculator to figure out how far each stop is. Basically copy what google does for it. I dont get why navigation apps dont do it that way and insist on the most complicated solution possible. Used this when I was in France and London. Was great using offline maps and was very reliable and mostly accurate. Would like to see more integration into iOS. Would like to be able to submit feedback on address corrections via the app as opposed to being taken to the website. Would like the option to not have ads perhaps via in app purchase or just have those removed entirely. Again this is a great navigation app and it’s offline features like being able to download a whole map of a country for offline use is fantastic. The best feature by far is he ability to download regions and be able to use while offline. However that is the only redeeming quality about this terribly constructed app. It constantly tries to take me down roads that are either closed, one way the wrong way, dirt or private farm roads, or roads barely wide enough for a motorcycle. Even though I hate the Googles, there is something to be said about their superior products. My wife finally convinced me to come over to the google maps app while we were in Germany last week. We put the two Navs to the test and it wasn’t even close. One question though, why doesn’t The Apple Maps work in Europe? Love this app, 2 things though, it would be great if this app was optimized for both iPhone & iPad, I travel and use a iPad Pro for my navigation, would like it to be full screen. The second thing that would make this app everything it could be is that you should be able to set the zoom level in drive mode, would like to be able to see the track farther ahead, then maybe it would auto zoom to the next turn as I get closer. I used this while backpacking in Europe for a month without a data connection. I downloaded all the maps before the trip, and used the app offline. It worked perfectly, getting me to so many places and having a ton of transit data and direction. Must have for any traveler! It way better than goggle map or map quest or whatever. But still need to improve Alike live satellite that happen right now Alike people walking by or car drive by for example. And 3D street view and able to go down the street and back full 360 views. I would pay subscription for that if they add it. If they did I will said 10 star maybe 11 star. Hello developers. I’m still having a trouble trying to update the offline map. There was a update for North Carolina map. I clicked “All Updates”. It glitched out. No matter how many I clicked it. I tried to delete it and then re-download the same map. It seemed taking longer than expected. The progress bar isn’t even increased either. Need to fix this, please! Thank you very much. It used to be a great app when updates worked as expected. This is overall my favorite navigation app. That said, it has one issue that makes me never want to use it again. The alerts. As far as I can tell, there’s no way to disable the in-app notifications for ... something. Gas? Traffic camera? Honestly, I don’t even know what it’s trying to communicate. There’s a tiny icon in the corner that’s too small to make out while I’m driving. I disabled the only audible alert that I see an option for: speed alerts. All I know is that it’s painful when I’m listening to podcasts on my commute, with the volume turned up to hear quiet talkers, and the deafening “BEEP BEEP” chimes in once or twice. I regret using this app every time. PLEASE provide an option to disable all sounds, not just speed alerts. 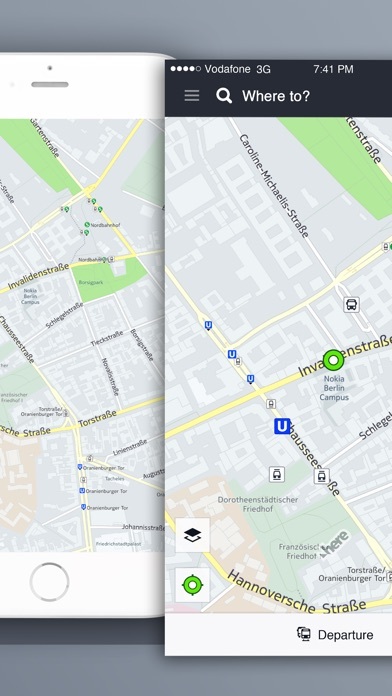 The best offline mapping solution on mobile devices. I love this app. Sure, it could be better; searching on route would be nice, and the interface feels a little old, and I’d like to see bigger in-drive-mode buttons, but in general it's simple and very very fast. I have downloaded this app for a specific trip I would do to Marília, São Paulo, Brazil and the offline mode didn’t work for this destination. I have tried some other cities around Marília and found the same issue. Tried some cities around my initial location and it did work so the issue was on the map for that location. Since I have only downloaded this app to go there and to use it official to avoid using roaming service so I give it only one star. My original review seems to have been taken down. After the latest update, this app would not open on an iPhone 6 Plus. Tried uninstalling and reinstalling the app. App would work until downloaded USA map. After that, the App would no longer open. It just crashed. So those reviewers who took down the original review should understand why the app is not now installed on this iPhone 6 Plus. I use it in a lot and it meets my need! Since no need to require data it's very convenient. Hope it can download something like poi given location then can do search offline, too.